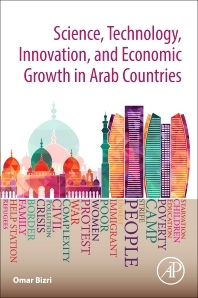 Science, Technology, Innovation, and Economic Growth in Arab Countries explores fresh approaches to STI policy formulation and implementation in the region, with applications to developing countries elsewhere. Developing useful contexts for studying Arab policies about science, technology, and innovation requires trustworthy data and judgment. Omar Bizri brings together both in this book. Data from sources such as the World Bank, UNESCO, the International Telecommunication Union, Nature, Science and recent surveys and policy formulation initiatives anchor this study among national initiatives that focus on essential needs, including safe water and food production, renewable energy utilization, and job and enterprise creation. For those eager to understand the challenges of STI capacity building, this book explores the many connections between technological change and economic growth. Omar F. Bizri is a Consultant on Science, Technology and Innovation for National Development. He is the ex-Chief of the Information and Communication Technology Division, United Nations Economic and Social Commission for Western Asia (ESCWA) and ex-Senior Adviser, Emerging and Conflict-Related Issues (ECRI) Division / Smart Community Initiative, (United Nations Economic and Social Commission for Western Asia (UN-ESCWA). He has extensive experience in the basic and applied sciences and has, over the past four decades, contributed to the formulation of regional and national science, technology, and innovation policy initiatives in several countries in the region. Since the outbreak of the Arab uprisings, he has been a keen observer of events with particular regard to the role that failures in technology adoption, dissemination, and implementation have had on socioeconomic development, on the one hand, and how certain technologies were instrumental in mobilizing and driving various factions in the region.